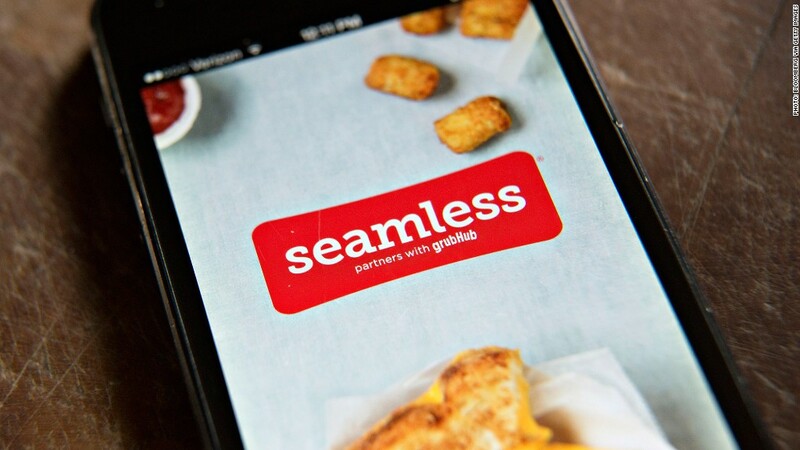 Seamless is growing in popularity among business travelers in New York City. Turns out that snagging a Starbucks sandwich for a quick bite simply will not do -- at least if you're in New York. A new study released Thursday found that business travelers in New York City are abandoning Starbucks in favor of a meal from Seamless, the food delivery website and app. "[Seamless is] aggregating a lot of the meal traffic," said Robert Neveu, CEO of Certify, which manages business traveler accounts and published the study. The study examined data from over 6 million transactions in the last quarter, looking at expenses from businesses large and small. Neveu said business travelers want something that's convenient, fast, of reasonable quality and within their budget. Enter Seamless, which allows customers to search for food by cuisine, price and rating. 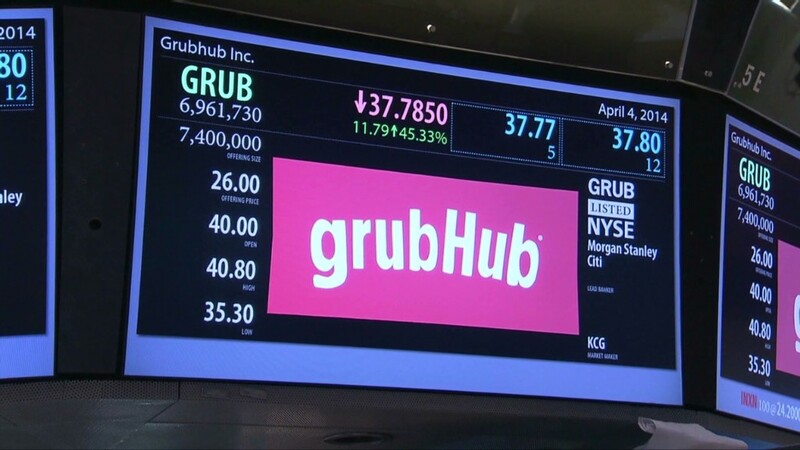 The app's popularity with the hotel-bound set is consistent with a recent report by Seamless' parent company GrubHub (GRUB). That data suggest hotel takeout orders have increased 125% across the country over the last three years. While Seamless doesn't specifically reach out to business travelers, it's useful for that breed of traveler because "companies utilize Seamless corporate accounts to streamline food expenses," according to GrubHub CEO Matt Maloney. "Travelers have access to wide variety of options that hotel room service can't match -- all without having to pick up the phone," Maloney said. That's not good news for traditional room service, which has seen a revenue hit of 9.5% in recent years, according to data from PFK Hospitality Research. And Seamless seems to be gathering steam. GrubHub announced quarterly earnings on Thursday, posting record revenues of $60 million and 48% growth. Though Starbucks (SBUX) lost its top spot in New York City, which it held since last year, it's still the most-expensed food vendor in the country for business travelers, who spend an average of $10 per visit. The coffee chain is ranked just above McDonald's and Subway overall. Seamless, on the other hand, isn't even in the top 25 vendors on the national scene. "Their client base is clearly concentrated on the NYC marketplace," Neveu said. The survey also found that the top city for business travelers was Chicago, followed closely by Houston. New York came in third, but also has the distinction of being the priciest city for dinner, with an average meal costing $71. The average price for a Seamless-delivered meal in New York City? Less than half that, at $31.84.